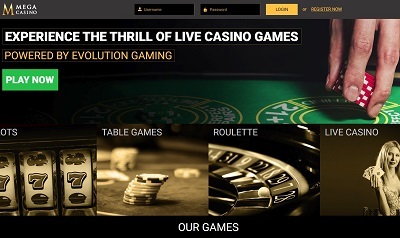 MegaCasino is licensed by the UK Gambling Commission and the Malta Gambling Authority. Mega offers customer support with a 24/7 phone and e-mail support team. MegaCasino offers a really great gaming user experience, which differs quite starkly to most other casinos across the internet. Once you dive into the game lobby you are treated to a great interface which has all the selections of games on it with a decent selection of filters on there for you to find you ideal game. 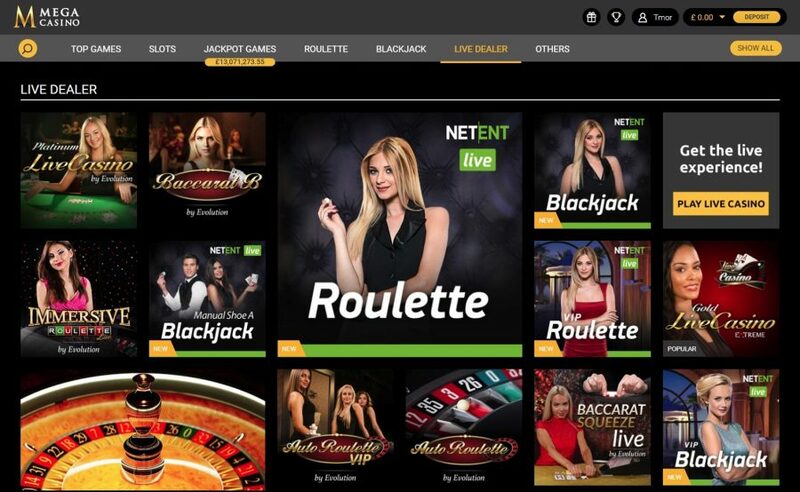 It can’t be overstated just how good the interface is, as it has all the information you’ll ever need while gaming in one place: all the games, information on promotions, jackpot information, live chat, VIP section, and the cashier desk. 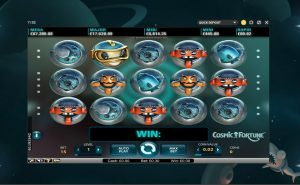 The Mega Casino guys have really invested time into designing this interface, and they’ve done a Mega job in getting it absolutely spot on. You’ll be welcomed in with a Mega bonus on your first deposit of 100% match up to £300. 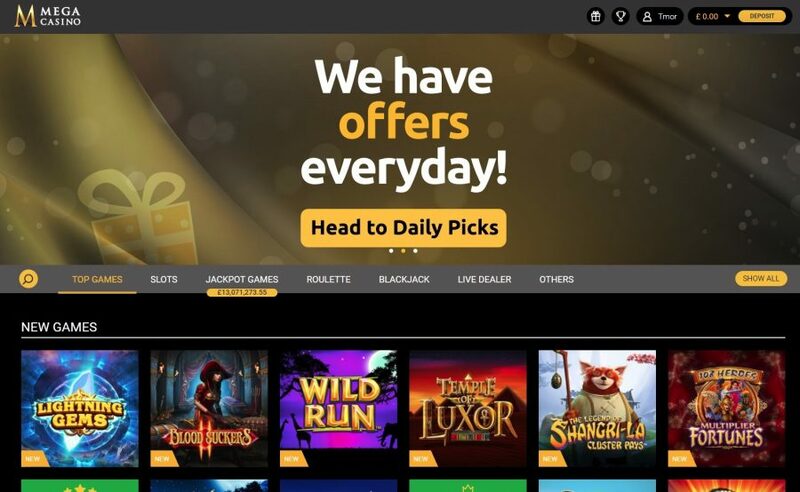 On top of that, if you join the VIP Club you’ll be given free bonuses, cashback on every single bet you make, free money to test new games along with a host of other added benefits. Mega Casino offers all the most popular deposit methods including Maestro, Visa, Skrill, Neteller, Bank Transfer and many more. Withdrawals will take one to seven days to process via any payment method. The minimum deposit is £0-10 depending on your payment method, the minimum withdrawal £0-10. The maximum withdrawal limit is between £350-100,000, and a maximum deposit of £350-50,000 also depending on payment method. 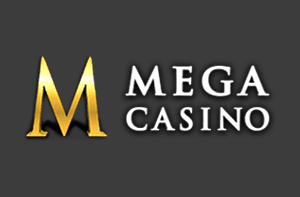 Mega Casino offer a decent amount of games in their library, including the traditional table games, video poker, scratch games, a superb live casino containing roulette, baccarat, blackjack, and a host of progressive slots with jackpots at over £2.5m. 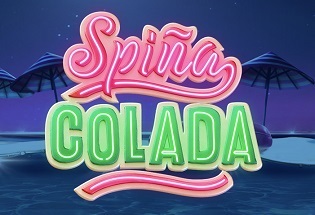 The selection of table games isn’t the greatest around, and the live casino games can be a bit glitchy, which can take a bit of time to load, but the slot games on offer are fantastic with loads of different themes on offer, and many unique games too using all the better software providers. 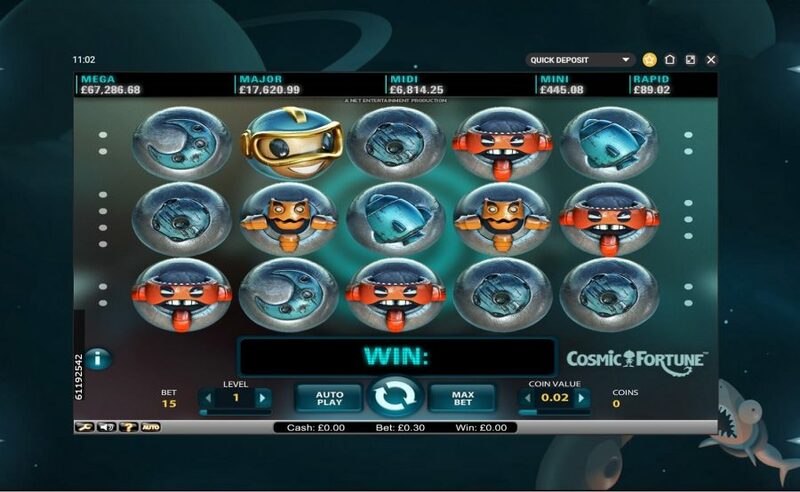 Mega Casino’s gaming interface is the standout from a selection of top features. The way you can navigate around your favourite games make it such an effortless and smooth experience, and the games on offer, which are in the hundreds, are pretty good too. 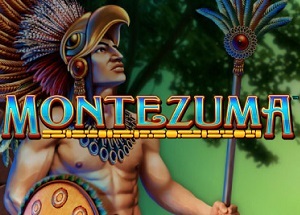 There is a great bonus system in place, plus an excellent VIP Club where you can win a host of free spins, free money, and cashback on every single game you play. The withdrawal system is excellent too using all the most popular payment methods, and there’s little waiting around when you want to get the money into your bank account.